Fairy Gardens Of All Kinds! September 8, 2016 / SenecaGreenHouse / Comments Off on Fairy Gardens Of All Kinds! 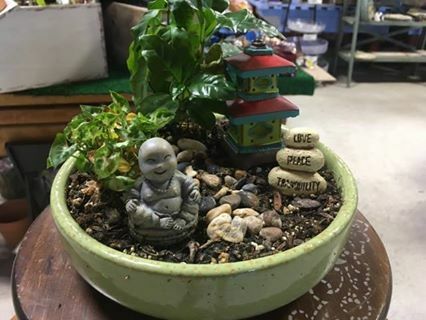 The best part of making your very own fairy garden is the little decorations you can put in them to personalize them for the season! We have all of our Summer, Fall and Winter fairy garden accessories out and we can’t wait to put more together! As the cooler weather approaches (rather slowly), we like to start bringing some plants inside to keep the warm feeling through our winter! 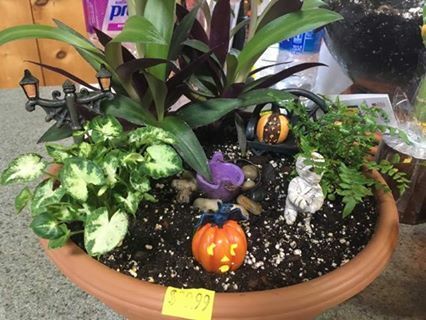 Come and check out all the plants and accessories that you can make your very own Fairy Garden! If you have any questions or requests, please message us on Facebook or give us a call! Here are some of our favorites from this year!